On Jan. 25th 2014, the association of WICSE (Women in CS and EE) at UC Berkeley participated in a Girl Scouts event at the Girls Go Tech & Green conference. The conference invited professional women scientists and engineers to present several workshops in different areas, aiming to encourage middle school and high school girls to step into the field of STEM (science, technology, engineering, and math). Being supported by the OSA student chapter at Berkeley – PhotoBears, where all CIAN students at Berkeley are involved, I hosted the optics demonstrations as a part of our workshop “Putting Science to Work” with 24 middle school girls involved. We first introduced “what is light,” by explaining to them that light is actually like “water waves,” and the width of the “ripple” gives you different colors. Next, we compared a laser light source with a white LED source and explained to them how a laser can be used (and most importantly, safety issues while using a laser). When light interacts with materials, many things can happen, like absorption, reflection, transmission, diffraction, etc. The demo we did to explain the “refractive index” was by immersing a plastic diamond into a cup of vegetable oil, and then it seems like “disappearing!” The girls were very into “hiding” the diamond in the oil, and understand very well that the effect is due to the “matching” of the refractive indexes. By shining light through a variety of patterned diffraction grating cards, we created beautiful features on the white board, and got several “wow”s from the girls. We gave each girl a pair of rainbow glasses (diffraction grating glasses) to try this at home. And then we showed another important property of light – “polarization” with two polarized sheets, which is related to sunglasses and 3D movie glasses in real life. The most straightforward way to realize 3D imaging is with color-separated glasses, which we also distributed to the girls. They were so amazed by the 3D effect on the images, which became the most popular demo throughout the whole workshop. We also encouraged them to show these to their parents at home, with the materials we gave them. Some of the girls had a lot of questions and were very eager to get hands-on experience with these demos after the workshop. There was one girl who was helping to lead the progress of the workshop. She explained that her father often does little experiments with her at home. Overall, all of the girls were enthusiastically participating. This was the first time that I hosted a workshop instead of assisting, and I was so encouraged! As a 2nd part, we also volunteered to be panelists on a parents’ panel discussion, about “supporting the next STEM leaders”. It is very touching to see how parents were concerned about their daughters’ future careers, and were trying very hard to find the “balance point” of their roles as parents. As an international student, I’m very inspired by the Girl Scouts events, which help to inspire the girls’ interests in science and technology, by connecting them to the STEM professionals in the real world. From the girls’ excited faces, I could feel the future STEM stars are rising. 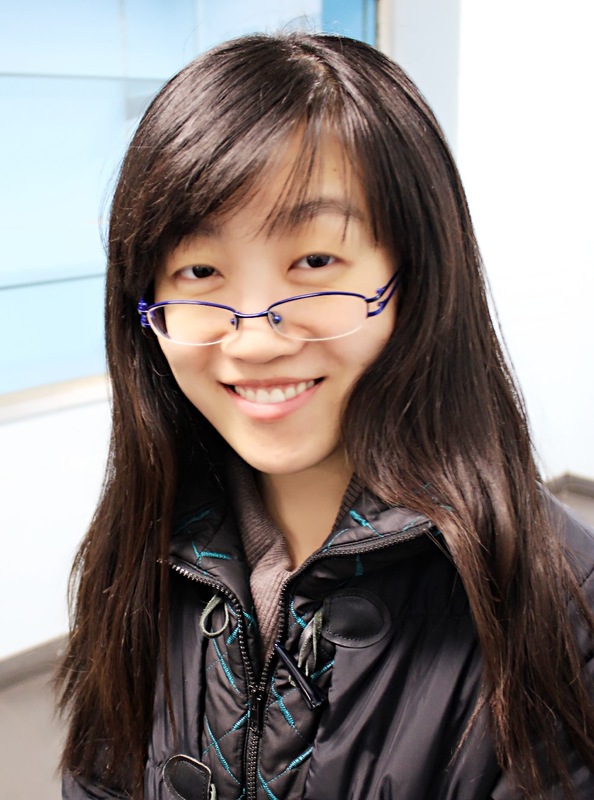 Kun (Linda) Li is a PhD candidate in the Department of Electrical Engineering and Computer Sciences at University of California Berkeley, advised by Prof. Connie Chang-Hasnain. Prior to joining graduate school, she received her B.S. degree from Optical Engineering of Zhejiang University in China (2006-2010). She had one year of exchange experience in University of Hong Kong (2008-2009). Kun’s main research interests focus on III-V nanostructures directly grown on silicon for integrated optoelectronics, and vertical-cavity surface emitting laser (VCSEL) with high-contrast grating (HCG) structure for optical communication and imaging. Her skills include optical characterization, semiconductor fabrication, and optoelectronic device modeling. Besides research, Kun is also active in a variety of education, outreach, and mentoring programs. This entry was posted in Education, Outreach and tagged Berkeley, CIAN Students, optics, outreach, photonics. Bookmark the permalink.